In response to our question, “What did you do in school today?”, Dr. Adam D. Fried, a superintendent in northern New Jersey shares with us the work he and his teachers are doing to ensure growth — for both students and educators. In addition to Dr. Fried’s response below, several members of his teaching staff have shared their thoughts on this work as well. Some of these responses from teachers can be found here, here, and here. 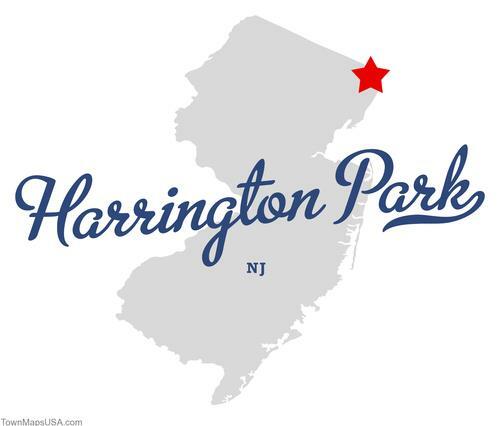 In 2008, Harrington Park started down a path of re-evaluation and self-reflection. Based upon the belief that some of the most powerful com ponents of teacher evaluation and teacher effectiveness are best approached through self-reflection and active learning, we set in motion the development of a model that would allow staff the ability to grow professionally, enhance their knowledge base, refine skill sets, and impact student learning and teacher practice. A key part of this new model was the Self-Directed Growth Plan, which we have asked our teachers to embrace as professional educators. The Self-Directed Growth Plan, or SDGP, is the apex of professional growth and development. Research has confirmed that adult learners generally want to work together, and yet they also prefer to be self-directed learners (Zemke and Zemke 1981). The balance between these two concepts can be seen in the development of professional learning communities, grade-level teams, and vertical teams on the one hand (Dufour and Eaker 1998), while recognizing that self-directed learning is an attitude of mind in terms of how to approach learning rather than any particular technique or activity (Dickinson 1987). A successful SDGP allows staff the ability to “see from the balcony” while allowing them the ability to both direct their own learning and receive support through their own growth stages. This type of learning calls for long-term implementation occurring consistently and continually over a period of time (Fullan & Stiegelbauer 1991). A notable be nefit of this type of professional learning is the presence of both accountability and support. By means of regularly scheduled meetings with the senior team as well as a multitude of different team and grade-level meetings, the staff is afforded a multitude of opportunities to share and grow together. It should also be noted that throughout this initiative our ability to set aside time for staff has enabled them to be flexible with their Common Planning Time as well as with other varied time options. The concept of a Self-Directed Growth Plan in our current teaching model is by no means intended to suggest a deficiency on the part of our professional educators. Rather, the SDGP has been developed as an ideal model and instrument through which we as a district express our expectations for both personal and professional growth. Today we spoke about our model of the growth, where failure is simply a part of the path toward our evolution. Today we encouraged our teachers and students to try new things, and encourage community members to view failure as an opportunity for learning and growth. Today we believe in the sense of ownership that educators feel, that they’re invested in the vision, and the sense of family. Adam D. Fried, Ed.D. is an effective and dynamic school leader with an expertise in the development of Digital Education and Curriculum, with a focus on community involvement. During his tenure as Superintendent of the Harrington Park District (NJ) he has overseen the succ essful implementation of numerous sustainable change initiatives that radically transformed the learning culture of the district while increasing student achievement and staff engagement. Adam has received numerous awards and acknowledgments for his work as a professional educator. He is a Jefferson award winner, Educational Technology Panelist, Member of NJASA and BCASA Executive Boards, Professor of Educational Leadership and national presenter on multiple educational topics. Currently, Adam is a pedagogical leader of staff through a research based evaluation model, which has been recognized as a best practice for the NJ Department of Education. Currently, Adam is also mentoring three Ed-Tech start ups to support them in the build, measure, learn cycle. He is also husband to Dr. Nicole Fried and Daddy to Ella and Amelia.